Jen stumbled into the study of diatoms while completing her B.S. in Ecology at The Pennsylvania State University. Her lab job washing glassware morphed into slogging through the creek scraping diatoms off of rocks and eventually learning the rudiments of identification. 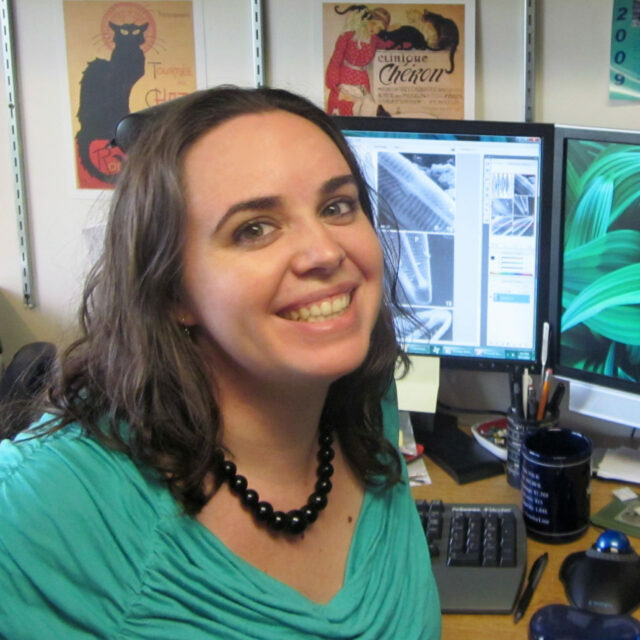 Jen worked as the Collection Manager of the Diatom Herbarium at the Academy of Natural Sciences. She primarily focused on unraveling the mysteries of diatom nomenclature while maintaining the new species card file. She contributed to the effort to image ANSP type species and participates in museum programming to bring “behind the scenes” science to the public. After a M.S. at St. Cloud State University, she is on to University of Arkansas.